Do You Want Your 5-Day Magic Tips? Magic Tips You'll Use for the Rest of Your Life! 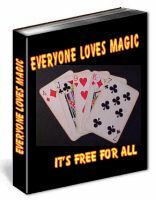 JOIN OUR MAGIC MAILING LIST TODAY! Keep up to date with our Magic Tricks and Courses! CLICK BELOW - HAVE FUN! Bring Out the Magic in Your Life!